We all know how stressful moving house is. When you add children into the mix, stress levels can go into overdrive. Children may have only ever lived in the one house and leaving it can be very confusing for them. These emotions are heightened if kids have to change schools and make new friends. 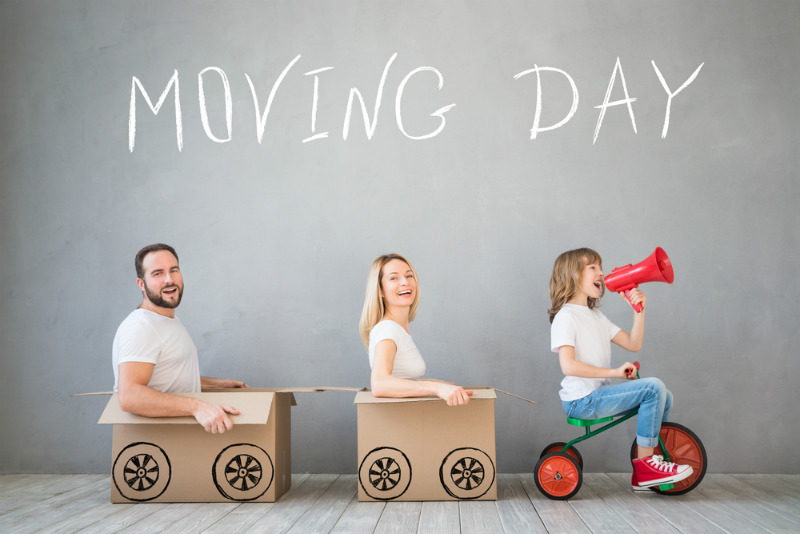 The good news is that are things you can do to make the moving process easier on your children (and easier on yourself!) Read on to discover how to move successfully (and stress-free) with your children in tow. Whether you’re moving to the other side of Australia or just a few streets over, moving represents a big transition: especially for children. Kids are used to routine and structure, and a move can feel like a major upheaval. To avoid this, discuss the move with your children well in advance. As you prepare to move house, take the journey together. Let your kids help you with small decisions or even with the packing if they’re old enough. This responsibility helps them focus on the future and grow excited about the move. If you’ve already purchased a new home or signed a rental agreement, show your children photos (ones you’ve taken yourself or from an online listing). If your family is still searching for a new home, bring the kids along to inspections and viewings. This helps them feel more at home in a dwelling they helped to “choose.” If you’re moving nearby, consider taking a drive to your new neighbourhood and checking out the playgrounds, sports facilities, shops and cafes. A garage sale is a fun way for children to get rid of toys, bedding and clothing they no longer need or use. The money raised can go towards new toys or fun activities in their new suburb. Get your children to pack a “special box”, full of their most loved items that they can unpack immediately on moving day. This will help them feel at home more quickly. Some items you may want to encourage them to pack include pyjamas, a favourite stuffed toy or game, pillow, toothbrush and favourite movie and clothes. Most of all, don’t try and do it all yourself. The experienced professionals at Lynns Removals and Storage can make moving home a breeze. We take care of every detail and transport your items safely to your new destination. With us, moving is simple…even with children. Contact us today to get started planning your big move. There are 0 comment. on "Tips For Moving With Kids"